Rich with marine life, Alligator Reef is one of the best scuba diving Florida Keys sites located at the south end of the Upper Keys. The Key Largo diving site is heavily populated with a vast variety of Florida game fish and tropical fish, plus it has extensive coral reef formations. This coral reef is also home to what is considered the USS Alligator which in fact it is not. The Navy conducted a study and determined that the remains of this sunken ship is another yet to be determined vessel. 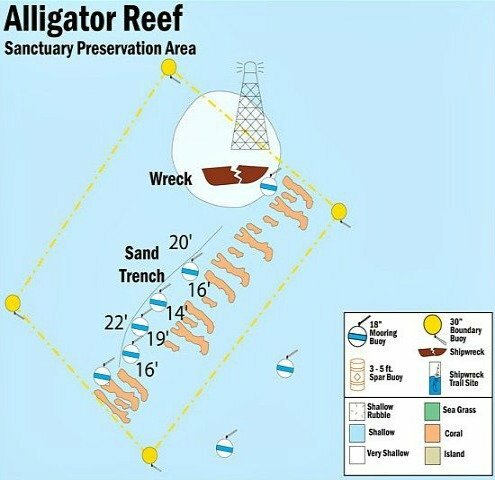 There are however, several other unidentified wrecks buried in the sandy bottom around this Florida Keys coral reef, and perhaps one of those will bear this name. This healthy coral reef is great for Florida Keys snorkeling and Key Largo diving. It provides wreck divers with a look back into time as they explore the sunken ship's ballast piles and wood remnants. It also gives Key Largo divers and snorkelers an opportunity to mingle with a broad spectrum of marine life. On any given day you can expect to see numerous tropical fish including angelfish, damselfish, blue tang, and parrotfish. Plus there's the ever present snapper, grunt, spiny lobster, and numerous stony and gorgonian coral. With so much color around you, this is the perfect place to capture amazing underwater photography. 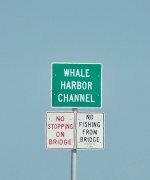 This popular Florida Keys snorkeling and dive site was once determined to host over 550 species of flora and fauna. It's almost impossible to think that any time spent here would be considered less than fantastic.